Full size kitchen with full size Bosch appliances throughout. Plenty of counter space to make a gourmet meal in your gourmet kitchen. Full size Bosch Fridge with filtered water and ice maker. Kitchen comes with a great view of the West Maui Mountains. Formal dining table for four. Great view of the West Maui Majestic Mountains from this dining room table. Large living space that opens out to the lanai. 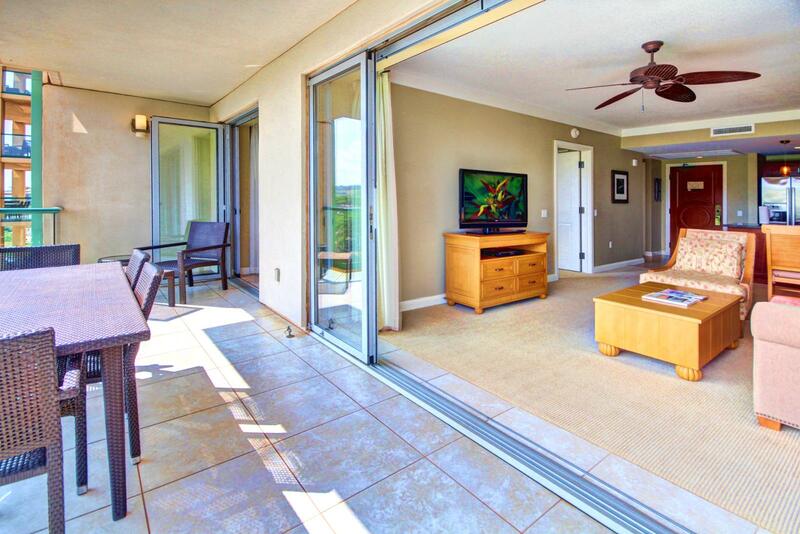 Large LG flat screen TV for your enjoyment along with a great view to the West Maui Mountains. Large living room to stretch out and relax in. Lanai has NANO doors that can be opened and slid to really bring that outdoor living in. 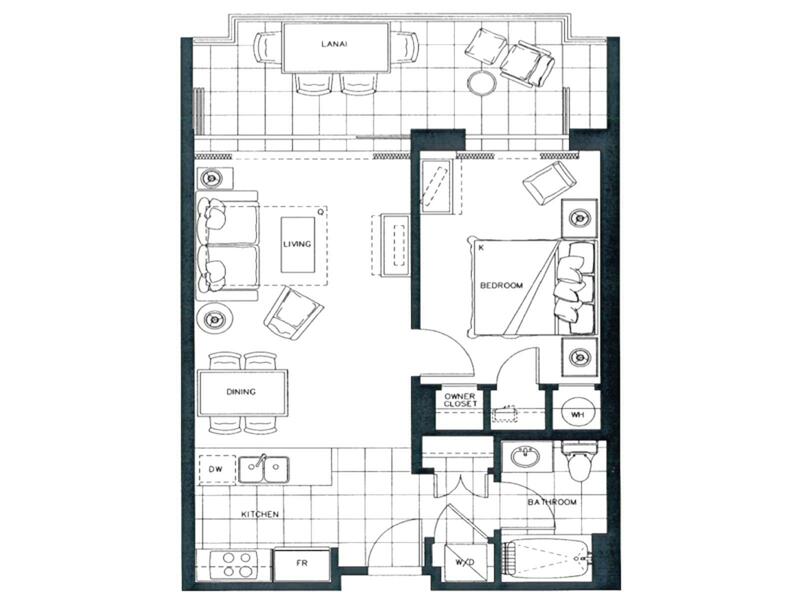 Large master bedroom with private access to the lanai. Looking across the large King size bed. Looking in to the master bedroom from the lanai. Perfect bathroom for all your needs. A nice shower and tub combo. Great views of the West Maui Mountains and the Kaanapali Coffee Farms on the mountain side. Large lanai with large outdoor dining table. Watch the sunrise in the mornings and the rainbows in the evening. Enjoy the Maui trade winds.